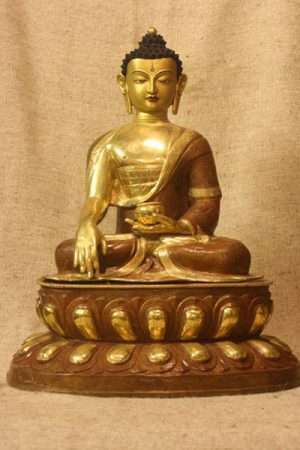 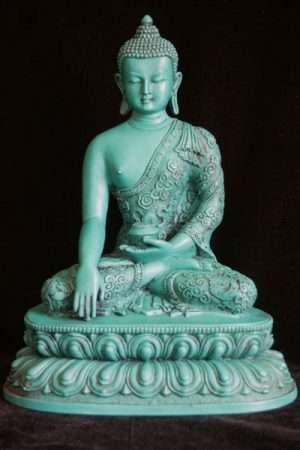 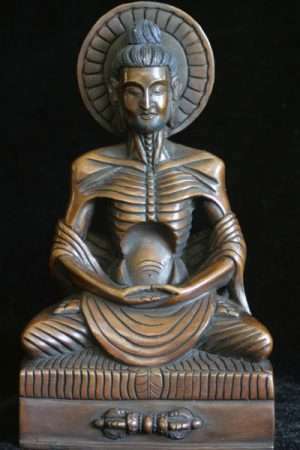 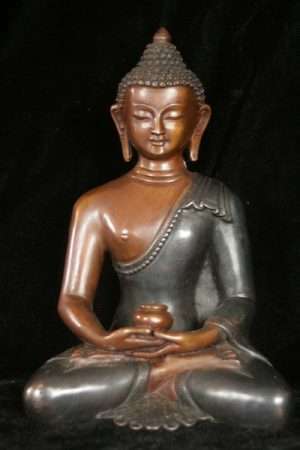 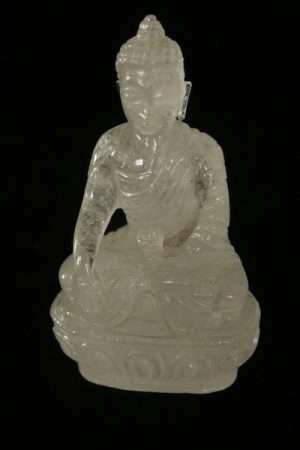 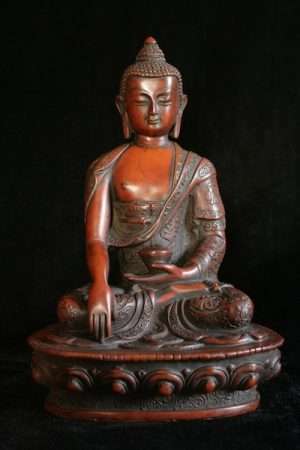 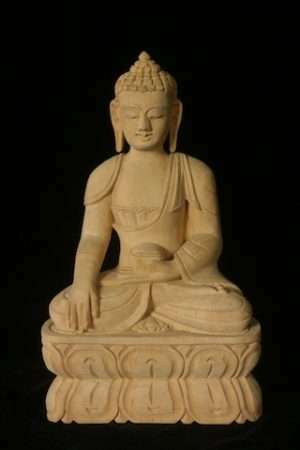 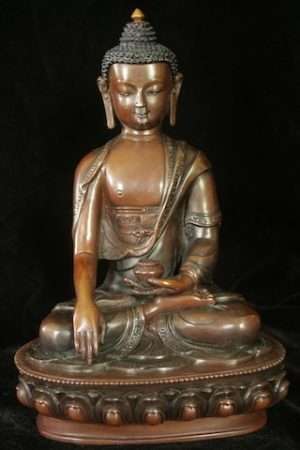 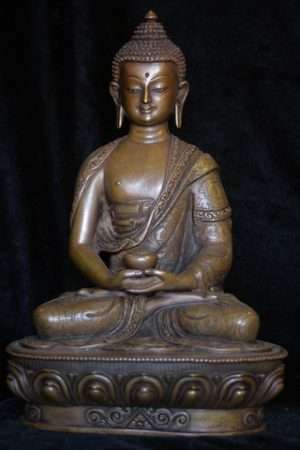 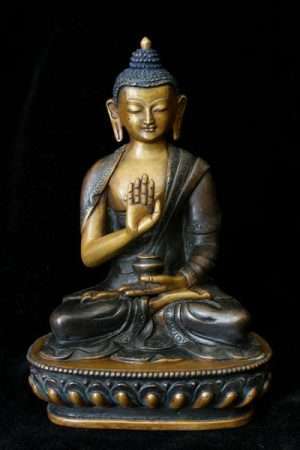 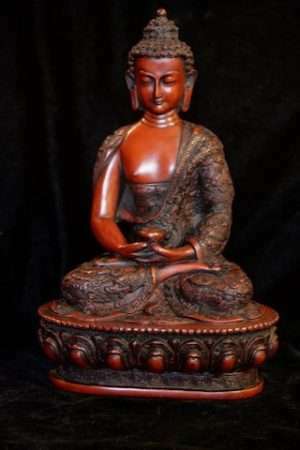 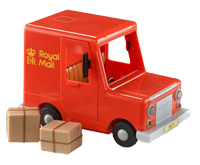 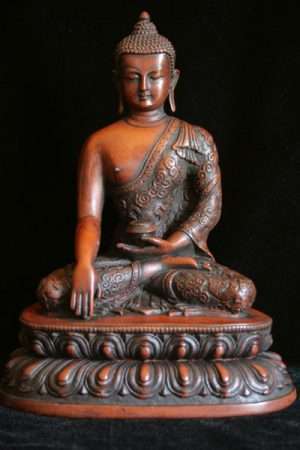 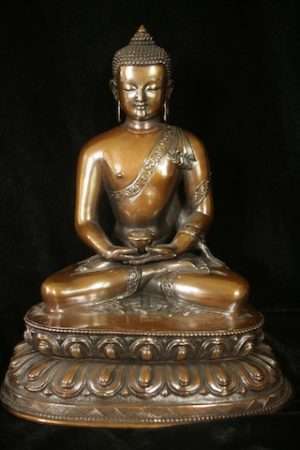 We have a large number of Buddha statues of all forms including the Buddha in earth touching, and meditating forms. 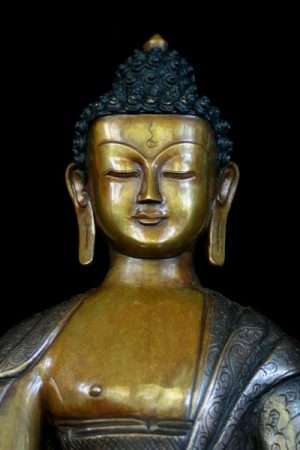 Others are available under the heading The Five Buddhas. 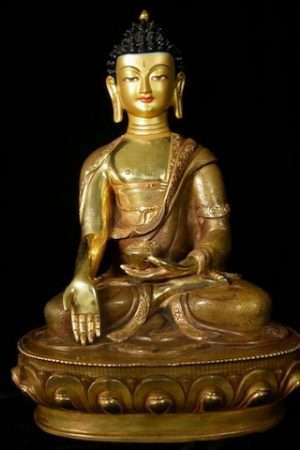 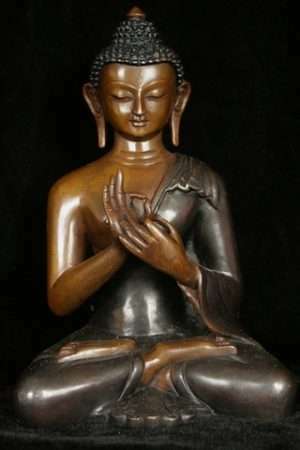 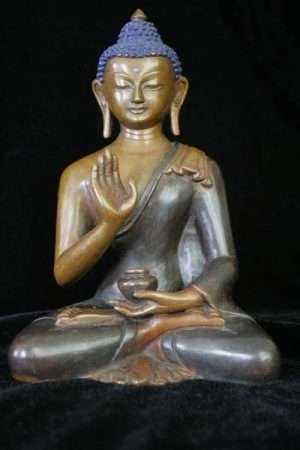 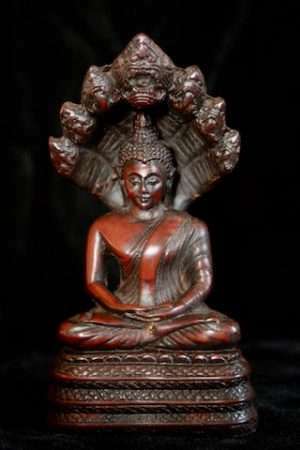 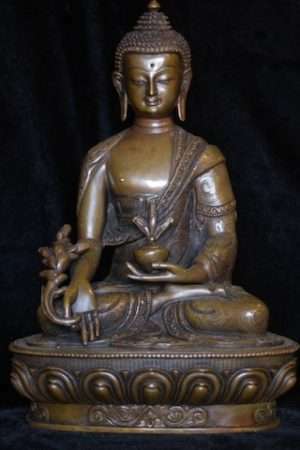 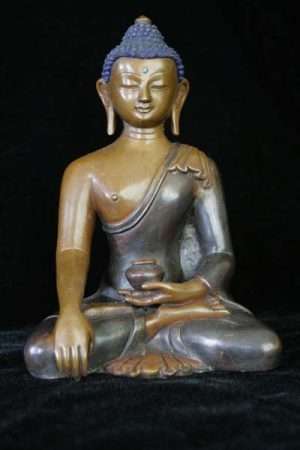 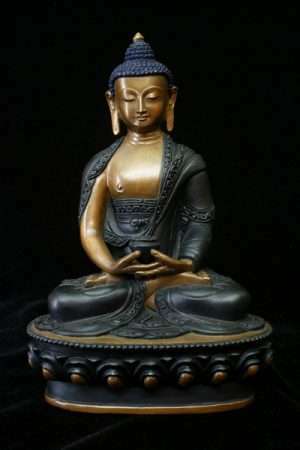 All Buddhist figures originate with Shakyamuni Buddha, the historical Buddha, who gained enlightenment beneath the Bodhi Tree 2500 years ago in India. 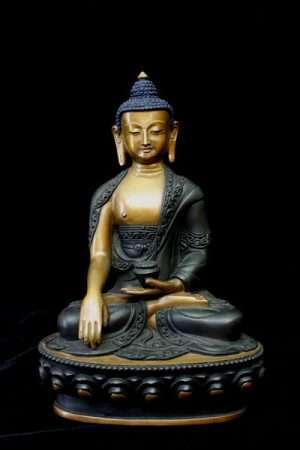 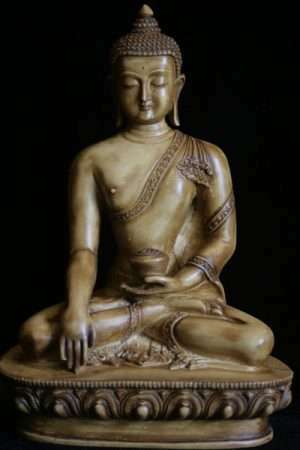 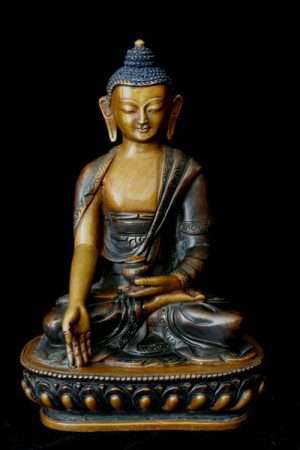 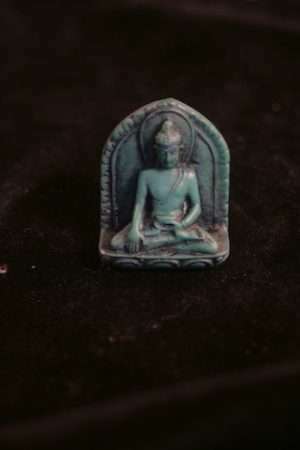 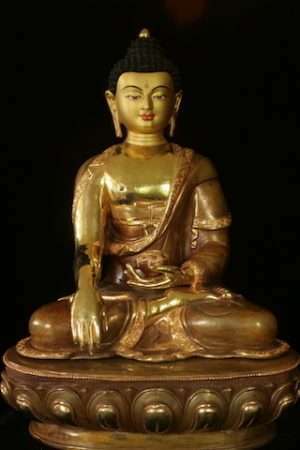 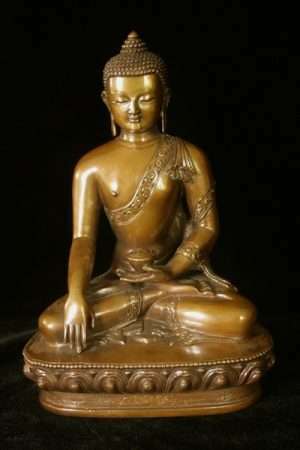 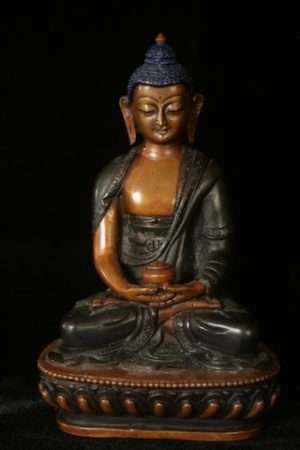 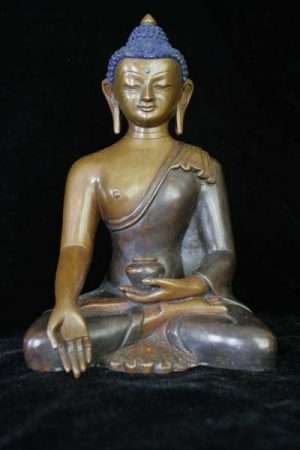 Originally he was not represented by statues but later Buddhism particularly Mahayana Buddhism developed this. 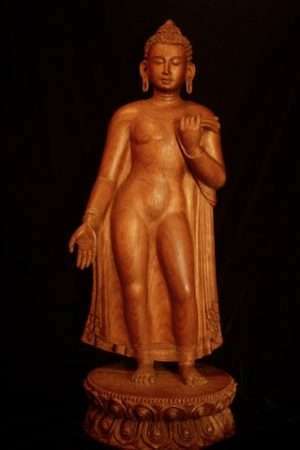 Gandharavan Buddhist statues were the first to arise about 1st-2nd century AD. 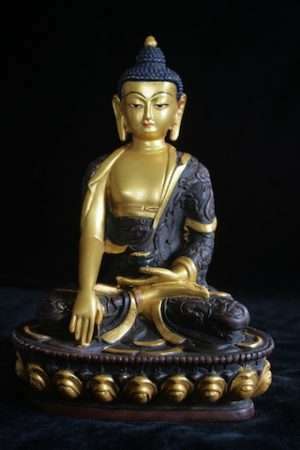 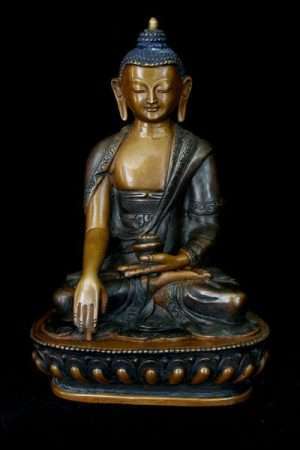 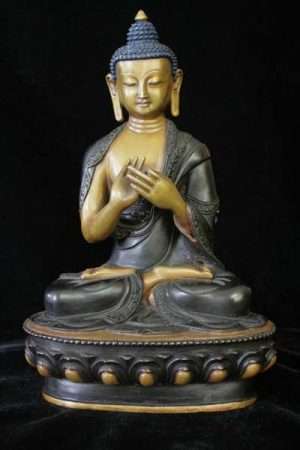 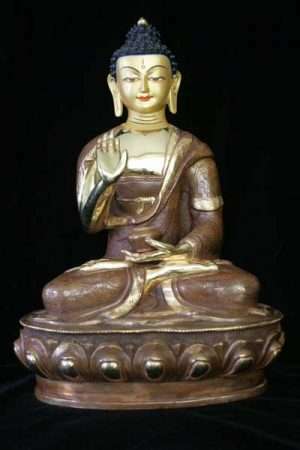 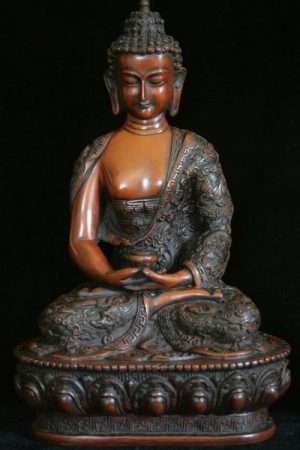 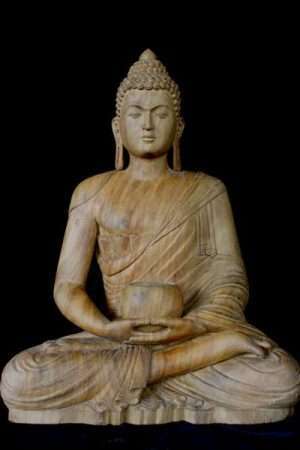 The art of Buddhist statues, moving from North India across the whole of India to China, Tibet, Japan is very widespread in all Buddhist traditions. 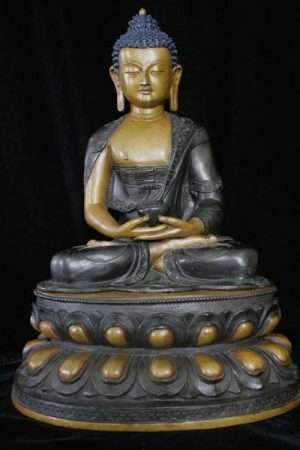 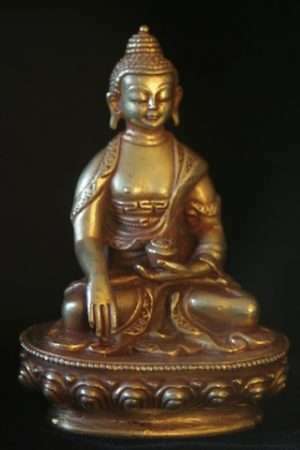 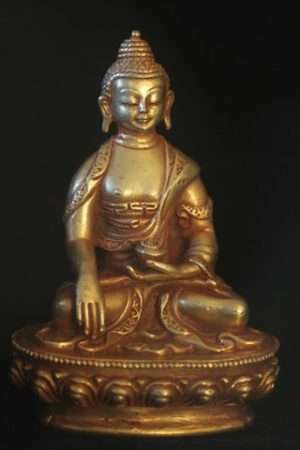 Many of the Buddhas for sale are derived from Mahayana and Vajrayana Buddhism and the Tibetan Buddhist tradition but are also very influenced by local Nepali Buddhism which has a very rich tradition of it own. 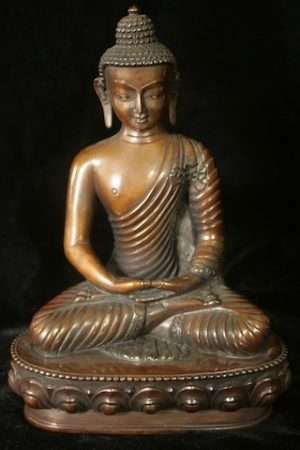 It is best to say these statues are from The Indo-Tibetan tradition but with widespread influences from other places e.g. 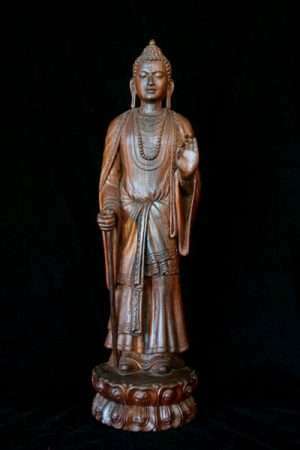 Chinese Buddhism, and Japanese Buddhism. 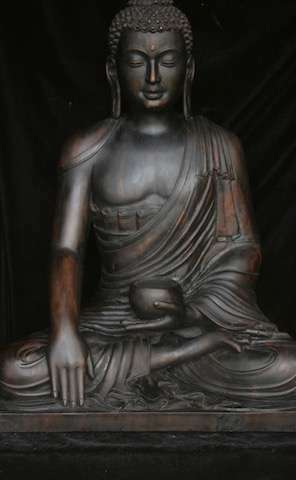 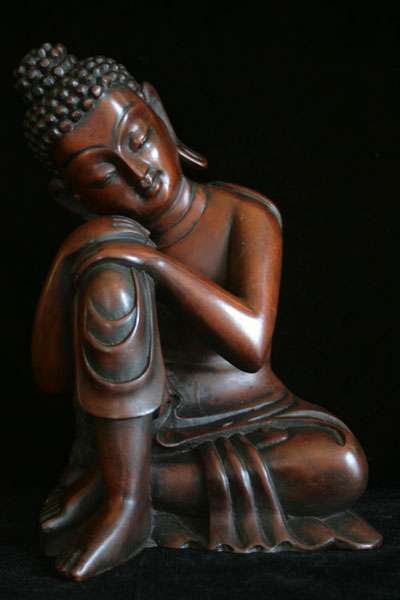 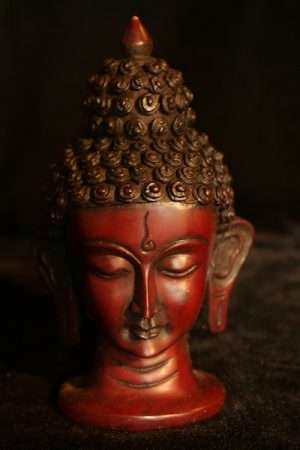 The Buddha is the embodiment of wisdom and compassion and energy. 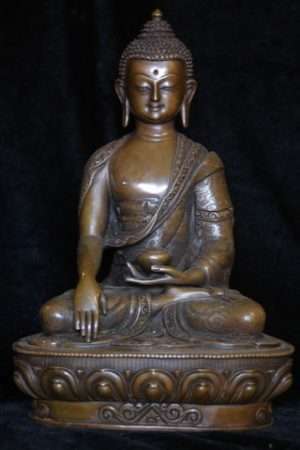 His mantra is “om muni muni maha muni shakya muni svaha”.